These St Patrick's Day Cookie recipes are all easy to make and call for simple ingredients, yet the results look and taste absolutely fantastic. The Irish-green colored cookies look terrific on a dessert table, and they can make a great homemade St. Patrick's Day gift for someone special on your list. Be sure to get your kids to help you decorate the cookies. Let's begin with an easy recipe for making Golden Cinnamon Scones. Based on a traditional Irish scone recipe, this recipe makes a potful of rich golden scones that leprechauns would love to find at the end of an Irish rainbow. Irish scones are sure to please any discriminating taste and are perfect for serving at breakfast or luncheon or on any occasion. Split the scones open while still warm from the oven and serve them with a dab of rich creamery butter or your favorite homemade jelly. Heavenly! Allow the oven to heat to 425°F. Place the flour and the salt into a sifter and sift together into a large mixing bowl. Work the butter into the mixture with your hands until completely combined. Make a well in the center of the mixture. Add the egg and pour in 1/2 cup of the buttermilk. Use your hands and work the mixture into a soft dough adding the remaining buttermilk as needed. An optional drop or two of yellow food coloring will make your scones especially golden in color for St. Patrick's Day. Lightly flour a flat surface and place the dough on the flour. Roll the dough with a lightly floured rolling pin until it's one inch thick. Using a round cookie cutter, cut 16 two-inch round pieces. Brush each round with the egg white. Place the cinnamon in a shaker or small bowl. Add the sugar and shake or mix until completely combined. Shake the cinnamon sugar mixture over each scone to taste. Bake 18 minutes or until a golden brown. Note: Self-rising soda-bread flour works best for these scones, if you can find it. If not, any self-rising flour will work too. Makes about eight servings. The golden cinnamon scones are delicious when served for breakfast fresh from the oven and buttered, but without the cinnamon, they can also be served in a bowel with lime green jello cubes and sweetened whipping cream. Yummy. For this St Patrick's Day cookie recipe, spread each of the vanilla wafer cookies on one side with the peanut butter. Place a wooden ice cream stick halfway up the cookie in the peanut butter on half of the cookies. Take the other cookies and place peanut butter side down on top of the wooden stick. Melt the white chocolate chips in the microwave or stove top as directed on the package. Place the green food coloring into the melted chocolate and stir to combine. Dip each cookie pop into the chocolate being sure to cover completely. After dipping, lay each cookie pop on the wax paper. Place the cookie pops in the refrigerator until set, about 2 hours. This recipe makes 10 green cookie pops. These ideas can also be used for decorating St. Patrick's Day cakes and cupcakes too. Make three-leaf shamrocks by cutting green gum drops in halves and positioning the pieces into a leaf form on the chocolate. A Pot O' Gold design can be made by cutting either a black or dark-colored gum drop in half and placing it on the chocolate. Position 3 or 4 yellow Nerds® candies (or tiny bits of yellow gum drop) above the gum drop pot to represent the gold coins in the pot. Leprechauns can also be made. Use a yellow gumdrop cut in half and shaped to make the beard. A pink Smartie® can be used for the face. Add chocolate sprinkles to the top for the Leprechauns hair and attach half of a green gum drop to the very top before the chocolate firms for his hat. For this St Patrick's Day cookie recipe, place the butter into a mixing bowl. Add the sugar and beat on medium speed with an electric mixer until fluffy. Beat in the egg and the vanilla. Place the flour into a sifter. Add the baking powder and salt to the sifter. Sift the ingredients into the bowl with the butter mixture. Place the mixer speed on low and mix until the dough is well blended. Lightly flour a flat surface and turn the dough onto the surface. Place a little flour on your hands and knead the dough gently for 30 seconds. Shape the dough into a round disk, cover with plastic wrap and chill for at least 2 hours. Remove the chilled dough and allow it to set at room temperature for 10 minutes. Allow the oven to heat to 350°F while cutting the cookies. Very lightly spray a cookie baking sheet with a non stick coating or lightly grease with shortening. Sprinkle a little flour on a flat counter surface and on a rolling pin. Roll the dough out to 1/4-inch thickness, turning the dough as needed and adding flour to the surface as needed to keep the dough from sticking. 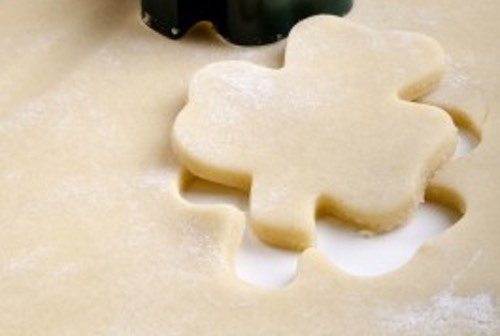 Use a shamrock cookie cutter to cut the dough. Place the cut cookies on the prepared baking sheet. Bake 8 minutes or until they are just beginning to brown. Remove and allow to cool 2 minutes then transfer to a wire rack to continue cooling before icing. Use other St. Patrick's Day cookie cutter shapes and make whatever designs you like. Be sure to divide the icing into separate bowls if you want to use different colors. Place the confectioners' sugar into a mixing bowl. Add the powered egg whites and toss to combine. Whisk the water into the mixture until the icing is smooth. Add the food coloring and gently stir to color the icing. 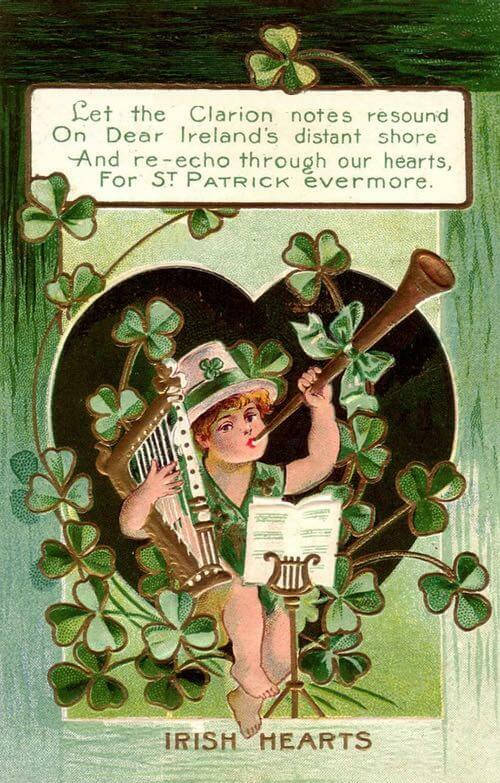 Extra green food coloring can be added to make your shamrocks darker in color, if desired. Ice one side of each cookie with the icing. Set the cookies back on the wire rack and allow the icing to harden slightly before serving. This recipe makes about 18 decorated nibblers. This frosty frozen St Patrick's Day cookie recipe is adapted from an old fashioned ice cream sandwich recipe. You can serve these frosty chocolate cookies on other holiday occasions simply by using a different cookie cutter to change the shape of the cookies and by changing the ice cream flavor and color. You'll love making these Frosty Chocolate Shamrock Cookies. Actually, it's more like an ice cream sandwich than a cookie, that's what's so great about it. It's the frozen treat that's perfect for a Saint Patrick's Day party. Just imagine: Frozen, light-green mint chocolate chip ice cream sandwiched between two homemade chocolate flavored shamrock cookies. It can't get any better than that! Place the butter into a mixing bowl. 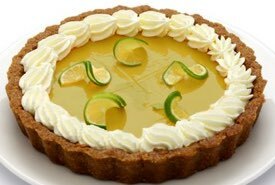 Add the sugar and use an electric mixer on medium speed to cream the ingredients together. Add the egg, milk, and vanilla, and stir until well combined. Place the flour into a separate bowl. Add the baking cocoa and baking powder. Sprinkle in the salt and toss to combine ingredients together well. Slowly add the dry ingredients to the creamed mixture and blend together until the dry ingredients are just moistened. Divide the dough into two equal sections then flatten both sections. Wrap in plastic wrap and refrigerate for 1 hour or until the dough is firm. Allow the oven to heat to 350°F while finishing the cookie preparation. Flour a flat surface lightly and place the sections of flattened firm dough onto the surface. 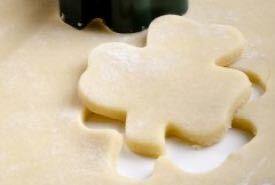 Use a shamrock cookie cutter and cut the dough out into cookie pieces. Place the pieces on a cookie sheet covered with parchment paper in a single layer. Prick each cookie in the middle with a fork. Bake 8 minutes or until set. Allow the cookies to cool 2 minutes then transfer to a wire rack to completely cool to room temperature. Spread six cooled cookies with the ice cream using about 1/4 cup for each cookie. Top the ice cream with the remaining 6 cookies. Wrap each cookie individually in plastic freezer wrap and freeze for 1 hour or until the ice cream is frozen solid. This frozen cookie sandwich recipe makes 6 frosty shamrock cookies. Bookmark these St Patrick's Day cookie recipes, as your friends and family will love the homemade St. Patrick's day treats! Enjoy a Laugh to Brighten Your Day! Listen to Bud Abbott and Lou Costello's "Who's On First?" skit from the World War 2 Special Services Division V-Disk. Oops! Your browser does not support the audio player. I suggest you switch browsers or update your current browser. 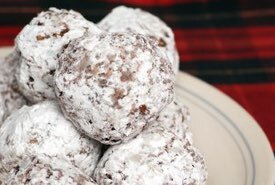 Subscribe to get my FREE Newsletter with Recipe Updates along with instant access to a PDF copy of Grandma McIlmoyle's Little Dessert Book. I understand that you will use my information to send me my periodic Newsletter and give instant access to a PDF copy of Grandma McIlmoyle's Little Dessert Book. Click Share and help to preserve Grandma's old fashioned recipes in their original form. Grandma's button hooks for fastening tight buttons on leather boots and gloves.